Could someone direct me or tell me what the relays under the glove box are and what they are attached to cant find any information on them Have an intermittent fault and scaned all the diagrams but cant work out which are the relays under the glove box Thankyou. 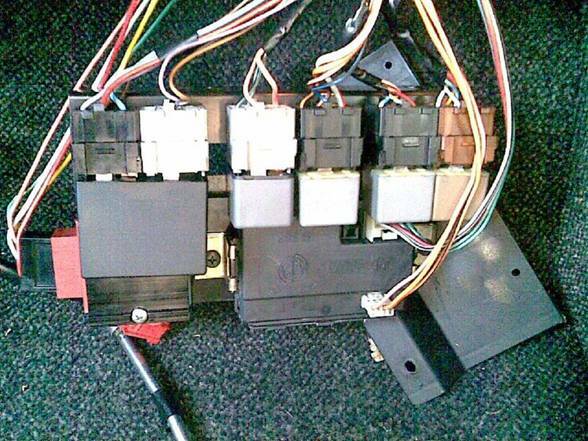 These are the doorlockrelay and the window lift control unit. Are you able to make a picture of the others? I will try and get more info Pic or diagram Thanks for your help the 2 you have listed are all on the same metal plate. @Perry, send them to me.... famheida et online.nl and I will put the pictures in this topic. Hi I did try again not sure if outlook sends them via sky drive automatically? Just hope someone knows what they do and where they go? Very odd and interesting; to me it looks like the relais that are normally behind the instrumentpanel on a LHD are now dropped down to the footrest area. Do you know if you have relais behind the instrumentpanel? 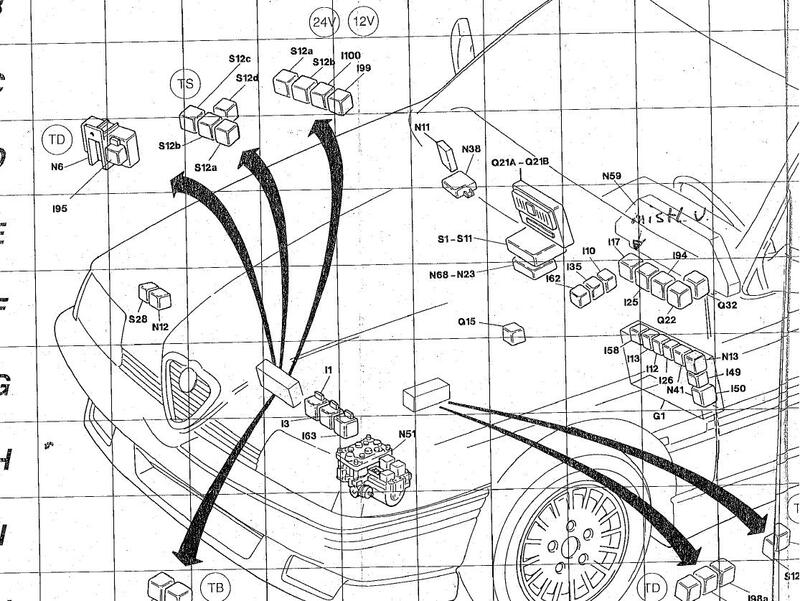 Another area that could have been moved is the area aside of your steeringcolumn; odd is that I count 4 relais in your car and that the area behind the instrumentpanel counts 5 and the area aside of the steeringcolumn counts 3! 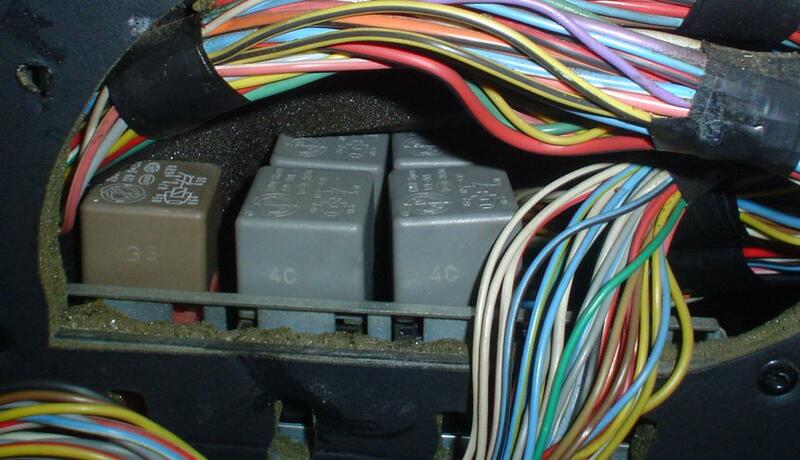 Where is the connector attached to who dissapears behind the double relay? There are 3 under the column .I think the double relay is for the windows. Last edited by perry on Wed Jul 10, 2013 8:41 pm, edited 1 time in total. In my database I found a picture of the situation behind the instrumentpanel; I count a total of 5 relays in my 1994 TD without aircon. 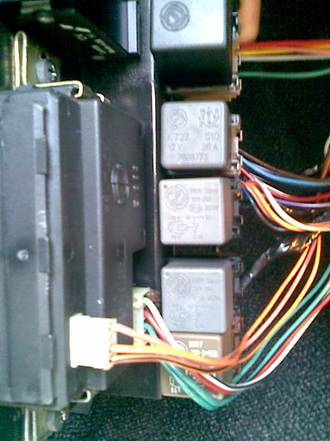 The green relay says "33" the other ones are grey and the front ones read "4C"
It does have air con but strangely no air bag system Its 1993/94 And does seem to be a little bit 12v and a bit 24v? Think it is one of the early models . It does have electric adjustable seats and heated leather. I cannot find Q32 in the online pages but I do have it in my manuals at home; it is the auxillary climatisation relay. Thankyou the one that is listed Q22 is the one that seems to be the problem but thats the only one that matches the colour codes on the wires ? But that will give me a start thanks? I think I may have sorted some of it out The double relay is N11 a and N11 b this is the door lock control.